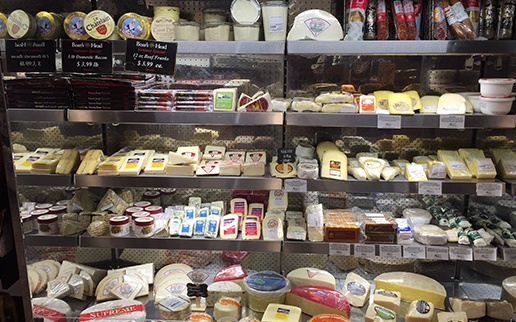 The Market at Gus’s cheese department features an enormous selection of international, domestic and artisanal cheeses. We offer fresh-made mozzarella, Imported Reggiano Parmigiana, imported and domestic cheddars, goat cheeses, triple crème brie, yogurt cheeses, a wide variety of Goudas, Havarti, Imported aged provolone, blue cheeses, soft cheeses, spiced cheeses, and even a nice selection of low fat and fat free cheeses. Come experience it for yourself! You won’t have a difficult time finding a new cheese to buy each and every time you visit The Market at Gus’s.